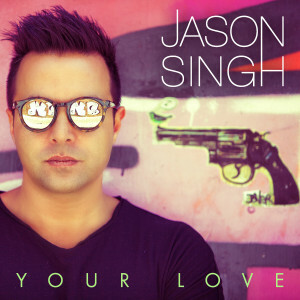 Jason Singh is now one third of the way through keeping his promise to his national fanbase to release six new singles in the space of 12 months. The so-called “Jason Singh Project” began in earnest back in October when he dropped the first fruit, ‘Quicksand’, later choosing to premiere its video via this very website. Now, however, it’s onto the second release, ‘Your Love’. He didn’t venture too far from home for the official video, zipping down to the banks of Melbourne’s Yarra River, enlisting the helps of a series of unsuspecting subjects in the hope of giving viewers the warm and fuzzies.